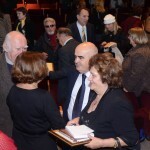 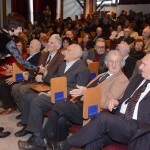 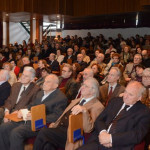 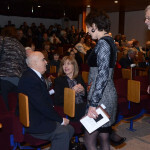 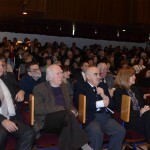 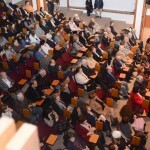 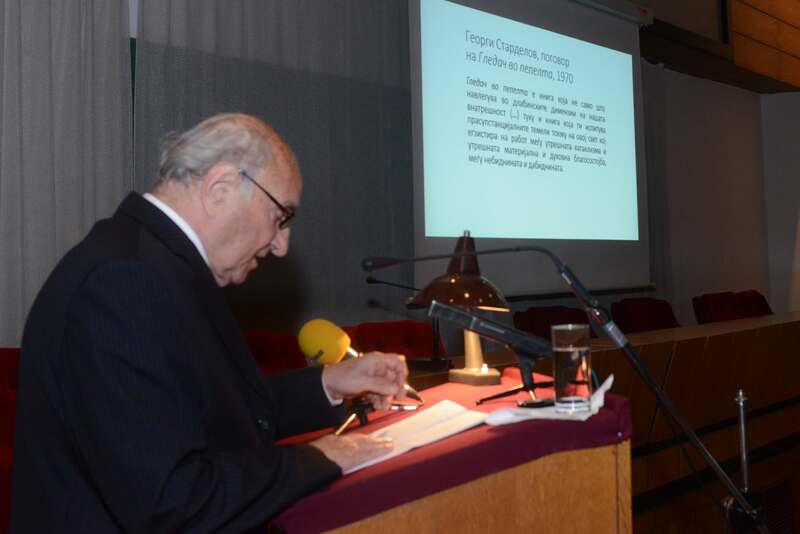 On 25 November 2013, the Macedonian Academy of Sciences and Arts celebrated the 90th anniversary of the birth of Aco Šopov, born in Štip, in the Eastern part of the Republic of Macedonia on 20 December 1923. 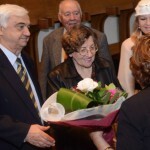 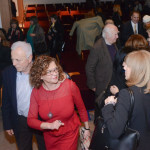 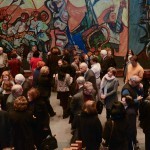 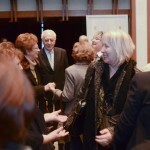 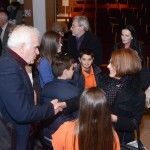 The public was welcomed by Luan Starova. 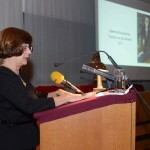 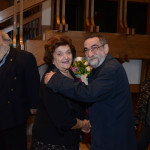 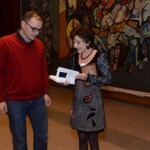 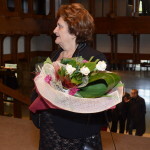 Kata Ćulavkova presented the Šopov’s first book published in Bulgarian on the occasion of this celebration. 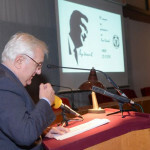 The author of the choice of poems and of the translation is Bulgarian poet Roman Kissiov. 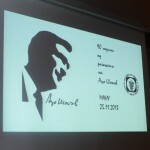 Le livre Раждание на словото (Birth of the Word) was published by Avangard Print in Ruse. 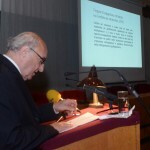 Georgi Stardelov reflected on the collection Гледач во пепелта (Reader of Ashes), published in 1970, which he considers an unequaled masterpiece of Macedonian poetry. 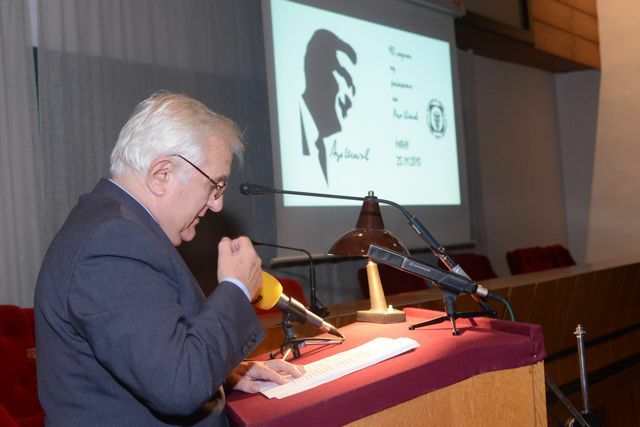 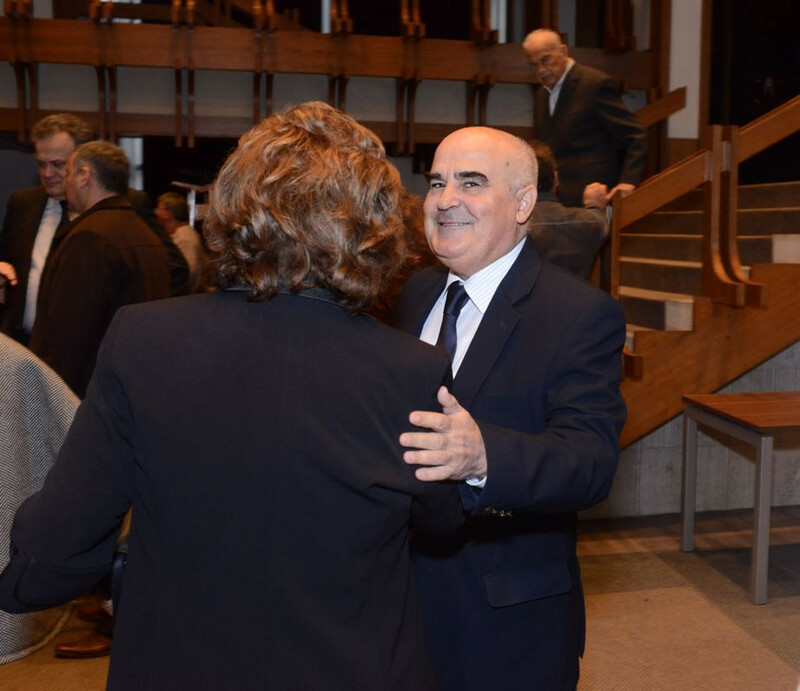 To celebrate the 90th aniversary of the birth of its author, the writer and publisher Risto Lazarov published in 2013 a new edition of this book which marks a turning point in the history of Macedonian poetry. 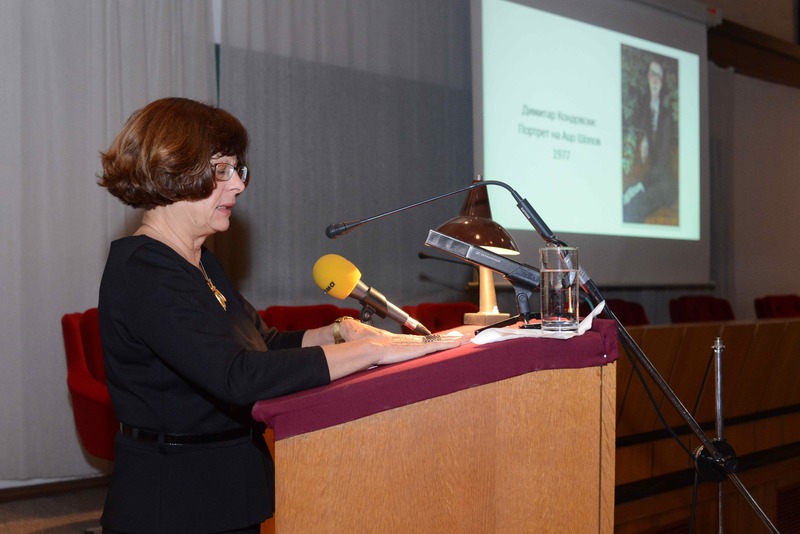 Jasmina Šopova, the poet’s daughter, translator, and publisher, spoke of the reactions to Aco Šopov’s poetry on the social media (YouTube, Facebook, Wikipedia…), announcing her work on the multilingual site devoted to the poet and that you are in the midst of browsing: Aco Šopov’s Lyrical House. 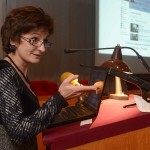 It was going to be launched one year later.